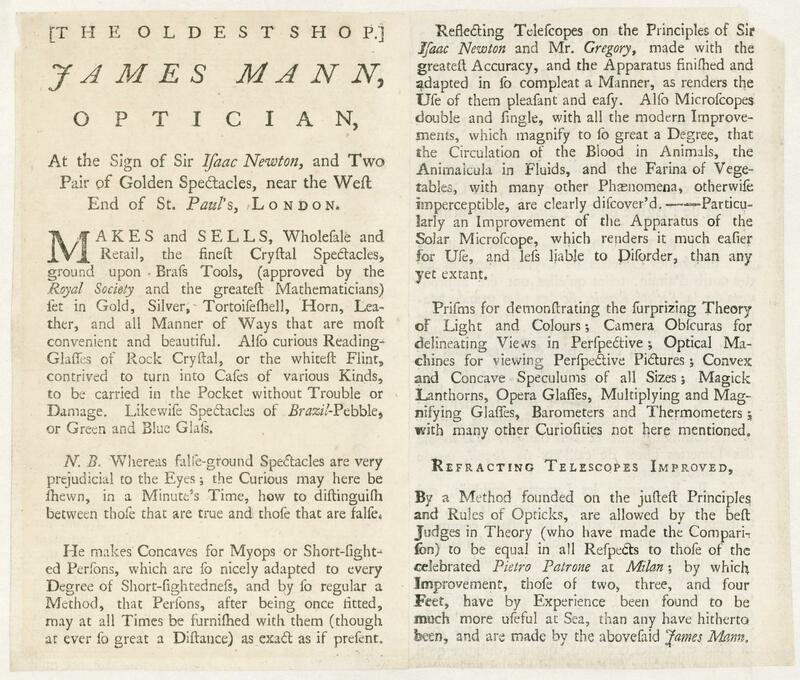 Trade Card:- James Mann, optician, At the Sign of Sir Isaac Newton, and Two Pair of Golden Spectacles, near the West End of St. Paul's, London. (Calv. 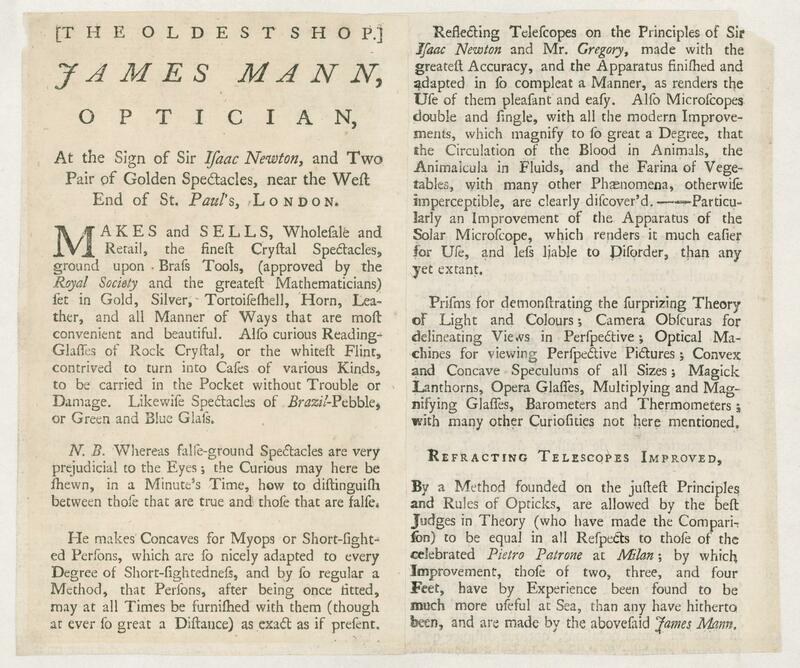 251) 10 1/2" x 7 1/4"
James Mann was an English optician working in London from 1706 to 1743. His shop was located “at the sign of Sir Isaac Newton” and he advertised its presence with the aid of two large pairs of spectacles. Using this sign meant that potential customers could find his premises easily, even if they could not read. James Mann made spectacle frames from a variety of different materials, including gold, horn, silver, tortoiseshell and leather. His cases were made from flint and rock crystal to protect the fragile contents. 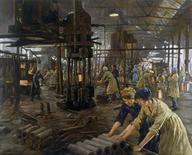 Mann’s clients were wealthy and could afford these luxury materials. 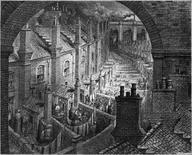 Like most other opticians of the time, Mann also made telescopes, microscopes and thermometers. It was not unusual for opticians to make instruments that required highly ground lenses, as this was a skill that spectacle makers had acquired and developed in the course of their day to day work.